Want to know a little bit more about K&B Accountancy Group? Or maybe you’re looking for some more information explaining IR35 or what expenses you can claim? Well, you’ve come to the right place. Check out a selection of our guides below to help clarify and simplify some of the more complex elements of self-employment. Using our in-depth knowledge of the market and expertise in managing limited companies, we have created this guides as a stepping stone to helping you better understand your finances. New to contracting or looking to switch? K&B Accountancy group has been supporting contractors, consultants and freelancers for over 15 years. We work closely with our clients to unlock their true business potential. 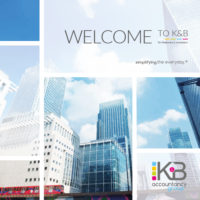 Download our guide to find out more about K&B Accountancy Group and why we’re the perfect choice to take care of you and your business. Ready to take advantage of our accountancy services and expert accountants? Sign up today! Download this guide to better understand the rules and regulations around business and limited company expenses. 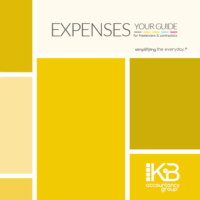 Designed to help contractors and small business owners, this guide is packed with useful information and advice on what expenses a company can claim, and the most common types of expenses. If you have any further questions, please do not hesitate to give our team a call on 020 7078 0211. K&B OpenSpace is an online accounting portal designed to make your relationship with us a lot more efficient. With this portal, both you and your contractor accountant can easily, instantly and securely exchange important documentations via the cloud. 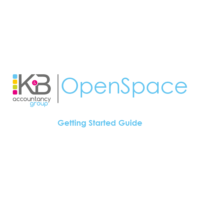 For more information and help on how to set-up and start using the portal, download the K&B OpenSpace user guide now. To be redirected to the K&B OpenSpace login page, click here!